Jerry Carder and his identical twin brother, Jim, were teammates at both Delphos St. John's High School and Findlay College. Passed up by Division I college coaches who thought they were too short at 5-foot-10 to be on the floor together at that level, the Carder twins made believers of them. Their statistical numbers were fairly close. In high school Jerry scored 638 points and Jim had 868. In college Jerry scored 1,953 and Jim scored 2,079. While Jim set the all-time career scoring record at St. John’s, Jerry set the individual game record when he scored 39 points against Newport Catholic while making all 11 of his free throws. The University of Findlay enshrined Jerry into their Hall of Fame in 1982, and Hancock County followed in 1995. 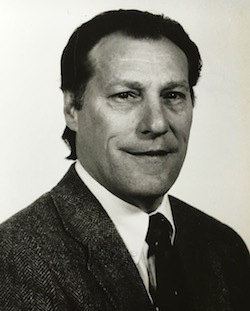 In 2007, Jerry was inducted into the National Association of Intercollegiate Athletics (NAIA) Hall of Fame in Kansas City, Missouri and in 2010, he was inducted into the Delphos St. John's High School Hall of Fame.